Bear Mountain Golf Course Opening Soon! Bear Mountain Golf Course will be opening soon! They plan to open the driving range May 10th and have full golf course service on May 16. 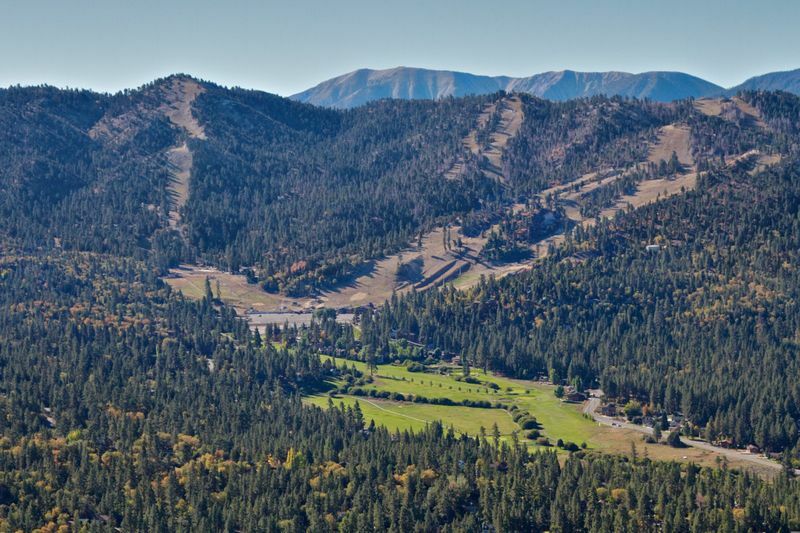 Located at the base of Bear Mountain Resort in the Moonridge meadow area, this 9 hole course provides a tranquil atmosphere for players of all abilities, and is complete with a pro shop and grill. Come play in mild summer breezes, aromatic pine trees and blue skies for a unique golf experience! The Bear Mountain Golf Course is a 9 hole course, although they do offer an additional “Back 9″ at a discounted rate to get in a full 18 holes. 9 holes will run you $25 Monday through Friday and $30 on the weekends. On Monday, Tuesday, and Wednesday, the golf course also offers twilight tee offs for $19. Golf cart rentals are also available for $7 per person. Leave your clubs at home? They even offer club rentals for $20. You can additionally warm up your swing at the driving range. Small buckets cost $3 while a large bucket will run you $6. Bear Mountain Golf Course is open 7 days a week, weather permitting and usually stays open through early November. Reservations and tee times can be at (909) 585-8002. So come surprise yourself at your new found driving distance at 7,000 feet at Bear Mountain Golf Course.